Many evenings after a long day of work, I dread going to the grocery store. Planning to make new recipes can also be particularly time-consuming when you may not have all the ingredients already sitting in your cupboards. 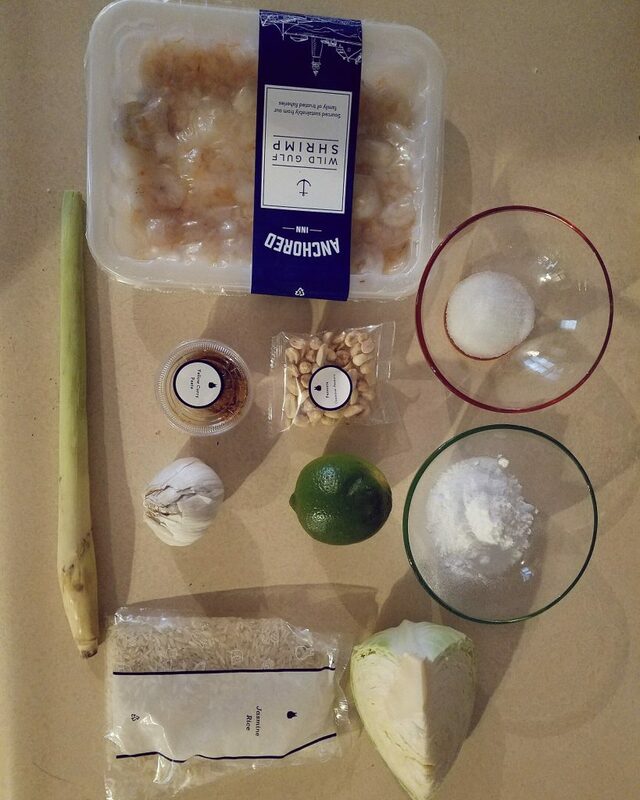 I heard about Blue Apron several months ago and have always been intrigued to try the program. 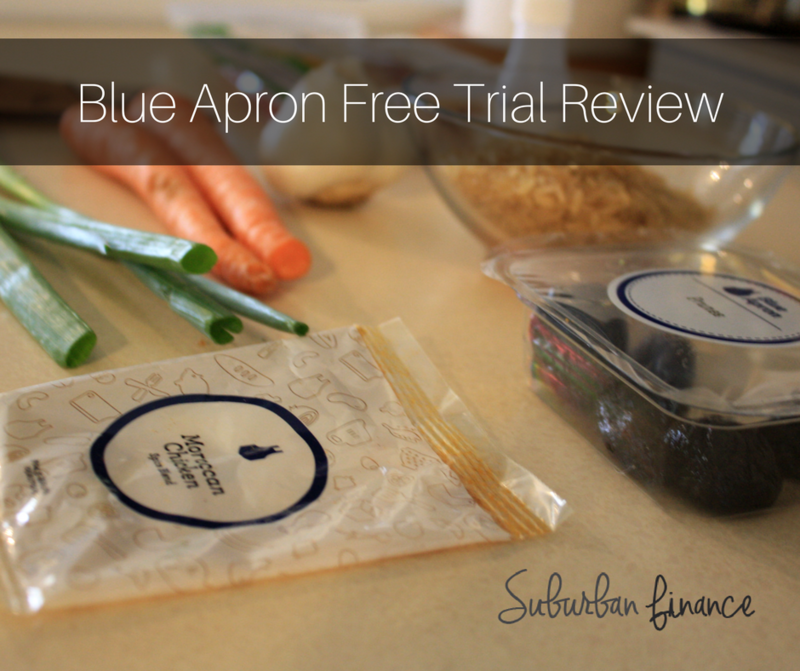 So, when I was asked to write a review about a Blue Apron free trial, I was pretty excited (and hungry). I just finished my last recipe with them, and here is what I thought. First, How Does Blue Apron Work? 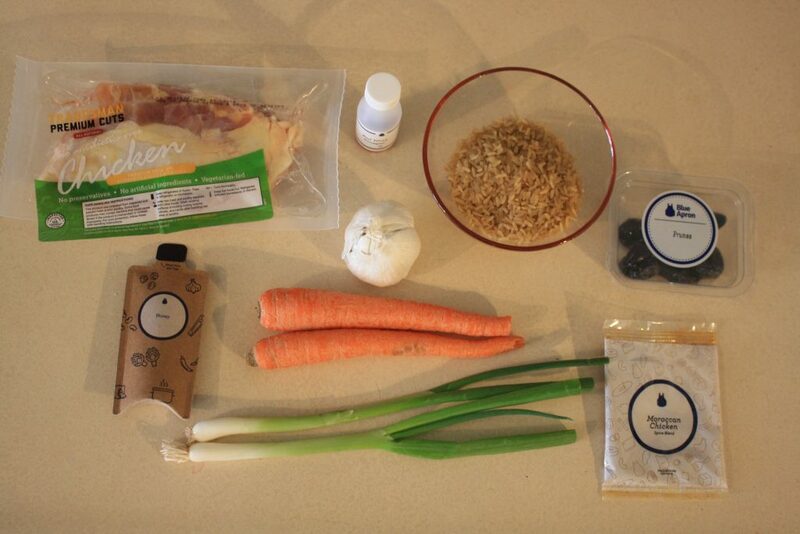 Blue Apron sends you recipes and all the ingredients needed for them each month through their subscription program. 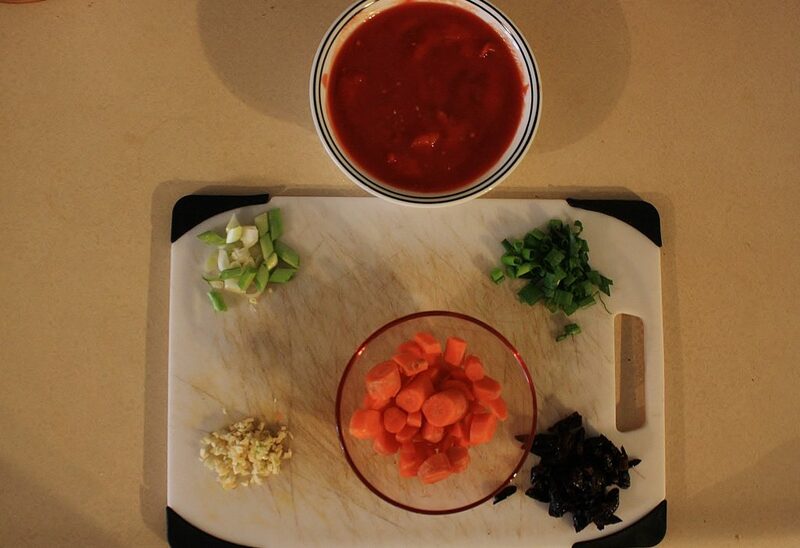 Food is received weekly, which maintains freshness. You choose between a couple different membership options, depending on the amount of people you are looking to feed (a couple or a family of four). The company actually partners with farms to provide fresh produce to its subscribers as part of its dedication to quality and fresher food, according to the Blue Apron website. Additionally, they claim their process measures portions out a little more accurately, which helps in reducing food waste. To get started, all you have to do is sign up. You’ll get a code for a free trail, and you will be prompted to enter in a credit or debit card to continue your meal deliveries. If you do not enter your card information, your account will be canceled within the week, but you will still receive your free trial. When I signed up for my trial, Blue Apron notified me of my three defaulted recipes I’d be receiving. I had the option to switch them out for others, but I decided to keep their suggestions. After finding my Blue Apron box over the weekend, roughly five days after signing up, my boyfriend Ryan and I began planning out our meals for the next three days, which was nice because it gave us an excuse to try something new each day. We started with the spicy shrimp coconut curry with green cabbage and rice. For this meal, I had to work with lemongrass, an ingredient I’ve never cooked with before. I had a little difficulty knowing whether or not I was cutting it correctly or using too much (in case you don’t know, it is a plant with a strong scent and taste). The description on the card was a little confusing, but I got through it. For the most part, our first night went pretty OK. 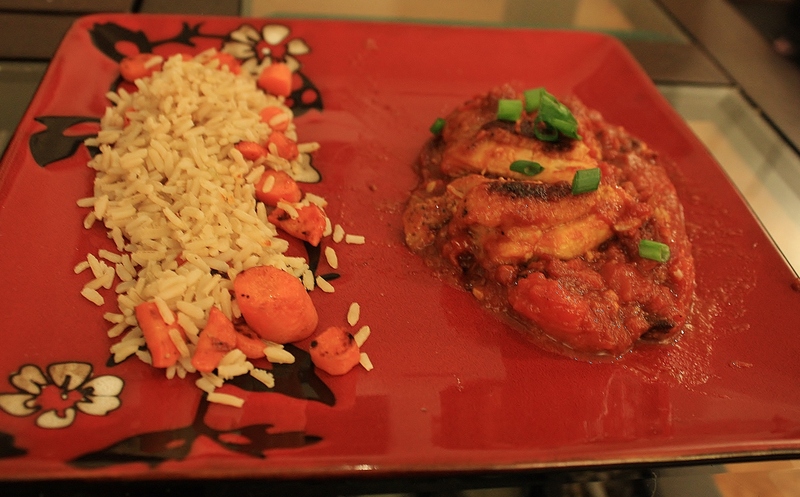 The second night, we opted for the Moroccan chicken with prunes and brown rice. I was unsure of the prunes, as I never cook with them, but I felt open to anything. Ryan’s cousin, Rachel, who tried Blue Apron herself last year, saw me post my leeriness of prunes on Instagram and said it was wise to trust “the Blue Apron process” because they really know what they are doing. Fair enough, I thought. Game on. Guys, Rachel was right. Those prunes were magnificent in this recipe. They brought a touch of sweetness and blended right in with the sauce as if they were never once a plum nor a separate entity. You put in as much spice as you want from their conveniently prepackaged spice packet they also included in my box. Not only was it something I never made before, but it was easy to do (and my favorite of the three). 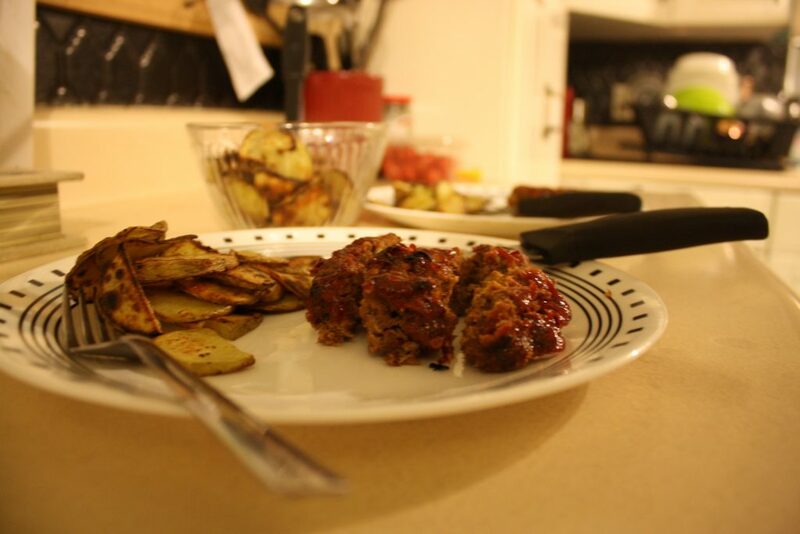 Finally, we came to the home-style meal, and what felt like the biggest feat of all the meals in our Blue Apron free trial: the Chipotle glazed meatloaf with crispy potatoes. I don’t know what it is about meatloaf that seems overwhelming to me…perhaps that it is a loaf of meat that can go terribly wrong (and dry). But, the recipe provided through Blue Apron was none of that. In fact, it was Ryan’s favorite of all the recipes. It has been a long time since I have cooked or even eaten a meatloaf. So, I was a little skeptical. But, their recipe was easy to follow, and it did turn out delicious. Even the crispy potatoes were a hit (despite not having a non-stick pan big enough to fit all the potatoes). 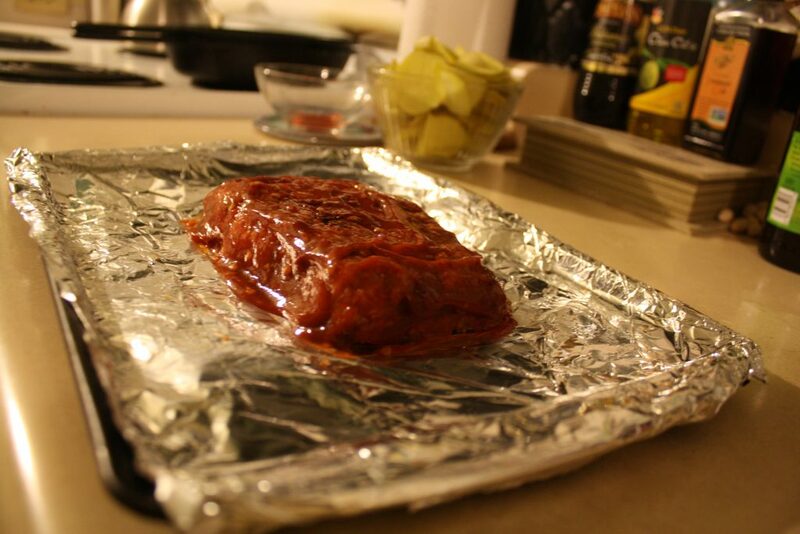 The meatloaf took the longest to cook, but it was worth the wait. Pricing varies depending on which subscription option you choose; however, it is broken down to a weekly charge, which runs seemingly high. I wanted to outweigh the costs, so I compared my recent grocery bills to a plan. For the two-person subscription, you receive three meals per week at $59.94 per week. For a family of four plan, you can choose two days a week at $69.92 or four meals a week at $139.84. In my case, I would pick the $59.94 plan since it is just my boyfriend and I living together. Typically every Sunday, we do our grocery shopping for the week. Sometimes we have to stop a second time in the week for quick items like produce since those go the quickest. We also run out of meat fast. So, for my basic subscription, it’d come to $239.76. My boyfriend and I alternate on buying groceries each week, and our grocery bills come out to roughly $112 on average. That total equals $448 per month for our meals with our food budget capped at $500. Let’s say we spend $16 each day on food ($112 divided by seven). Based on the three meals a week plan, if we subtract the amount we would spend in those three days ($48 per week per month), we would actually only spend $256 on meals for the rest of the month ($448-$192). With a Blue Apron account, our total grocery bill would come to $495.76, right below our budget max. I’m not going to lie; having all the ingredients correctly portioned and delivered to me was incredibly convenient. Despite the fact that I still had to prepare it, I feel I would be less inclined to want to order take-out or delivery since half the work would be done for me three nights a week. And, we all know how ordering food-to-go can add up. The Blue Apron free trial does well in convincing me of signing up. 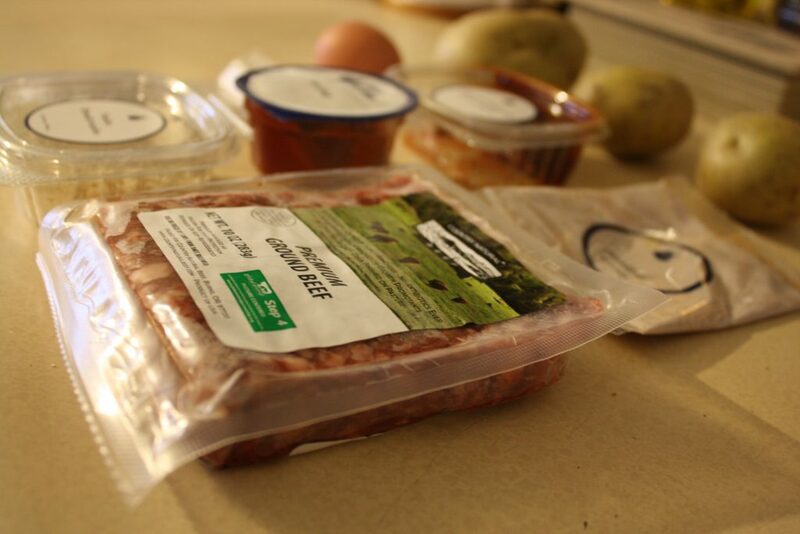 Getting all the ingredients delivered right to your doorstep for a recipe you may have never even made before is undeniably favorable. Not to mention, their packaging is on point. From the branding to the ice packs included in the boxes, they thought of all the fine details to really make an impression on you. I do also love their overall mission in facilitating fresh food. Nevertheless, I have quite a few friends who are moms with picky eaters for kids. They told me they would love to sign up for Blue Apron but know their kids would not eat the meals, leaving most of it wasted. 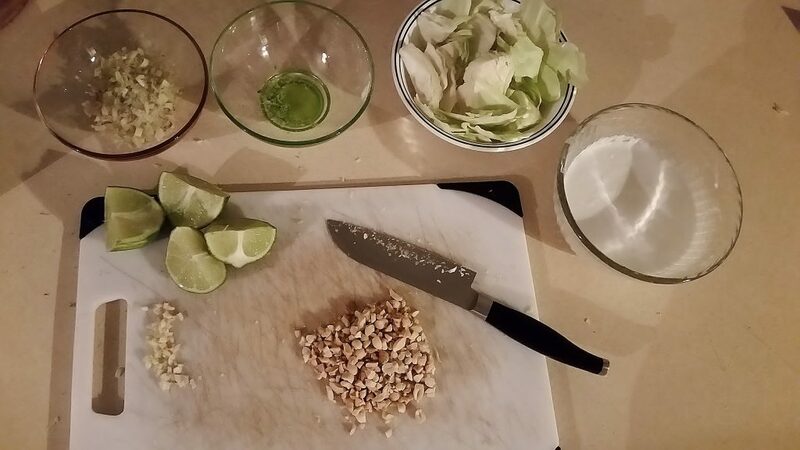 During the Blue Apron free trial sign up, I could only choose from a few available recipes, so it is hard to say whether or not the recipes would also be kid-friendly in the family plan. Perhaps it is something for the company to think about in the future. I would recommend anyone to give the Blue Apron free trial a try because you can’t go wrong with the recipes. And, if it fits in your budget, you should definitely consider joining, especially if you love trying new recipes or want to become a better cook. Plus, they offer a wine delivery subscription plan as well. Oh yes, you read that correctly. AND you get $30 off your first order by using this link. It’s definitely worth a try! Have you ever tried Blue Apron? What were your thoughts? Check out Blue Apron reviews from our friends, Cleverdude and Thousandaire.